The deadline for the current funding round is the 31st of May! We want to see our towns grow and be vibrant communities supporting the local economy. Warwickshire is a diverse and exciting mix of large towns, market towns and small local towns and villages each with their own unique offer to businesses, communities and visitors. What they all have in common is a desire to be vibrant and healthy; working to be thriving economic and social hubs for its residents, businesses and visitors. We want to help our businesses and residents come together to develop new ideas, channel energy and creativity and ultimately grow the local economy of our towns. We want to make local places special. Places that are distinctive. Places you want to explore. If you have an idea on how to improve and transform your town centre then why not add it to the movement and garner support. Reach out and find other like minded people who could help you develop your idea and deliver your vision. Pledge decision from Warwickshire County Council to be made in late April with projects going on to hit their target in May and June. We are looking for projects which transform shared space, inspire visitors and enhance the experience in order to bring more people into our town centres, increase footfall and support the local economy. This could be anything from creating an art piece, improving the welcome through signage and information, to transforming a disused piece of land from eyesore to eye-catching, improving the shop-fronts of a rundown parade of shops or even adding a mini play area into your high street. We are looking for projects that bring town centres together - businesses, residents, and local organisations. It must have local support and boost the local economy. We cannot fund any revenue costs (eg, like salaries; recruitment costs; rent; heating and lighting; publicity / marketing; training and expenses; event costs) but they can still be included as part of your campaign to be covered by other supporters and pledges. Complete the expression of interest form asap so we know you are interested - we can then provide you with more information and support. 1. Before you get started. Please take the time to read through the information we have provided about the kinds of projects we are looking for and who is eligible. 2. Create your project page. You need to create a project page on Spacehive. This is your pitch for funding to everyone (us and the rest of the crowd). Use it to explain your vision clearly, get across your passion for your project, and show how it will have a positive impact on your town. Remember the key questions - What, where, how, who, when and how much? 3. 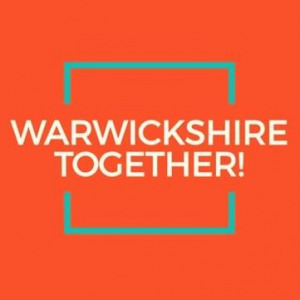 Add your project to the Warwickshire Together Movement. When your project is created, it will automatically be matched to any relevant Spacehive Movements. This match is based on the impact areas of the projects and the region in which the project is based. The owner of the Movement can accept or reject projects onto their Movements. The Warwickshire Together movement is interested in projects based in Warwickshire towns which fall under at least one of the following categories: Parks & Gardens, Arts and Culture, Buildings, Streets and Infrastructure. Projects should also fall under at least one of the following impact areas; Help the environment, Boost the local economy, Increase volunteering, Jobs & education, Support the arts, culture & heritage and Promote activity & leisure. 5. Get Active and Start fundraising. Get as many people as possible to show their support for your project by making a pledge - it doesn't matter whether they pledge £2 or £2,000. For us, the number of community backers you attract is just as important as how much you raise. 8. Monitoring & Evaluation. Measure your impact - what has the project achieved? Count the numbers and do people like it? How's it gone? What went well, what not so well? Has it done what you hoped? Share lessons learnt and let all your funders know the outcome. Do you love your town? Do you have a great idea you'd like to see happen but need more people to get involved? Then this is the place to share it. Warwickshire Together is just that - bringing people and businesses together, in the towns of Warwickshire, to create and deliver exciting new projects which will help make it THE town to visit. 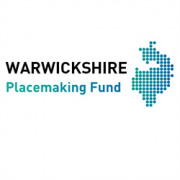 Use Warwickshire Together to share your idea, attract funding and get more people involved. Need some help? Then get in touch and we will try and point you in the right direction whether its with getting costs, finding out what permissions you need to do it or even just about who else is out there. Warwickshire County Council seeks opportunities for economic growth and innovation in order to support the people and businesses of the County. Within the Town Centres and Tourism team we work to deliver this through supporting our town centres - this support comes from the provision of training, enabling networking and sharing between towns and businesses and promotional activities.